While I was at it, I made exposures at ISO 400 and 3200 as well. A little shadow noise beginning to appear in N+4. Slight loss of highlight detail. Massive shadow noise. More loss of highlight detail. 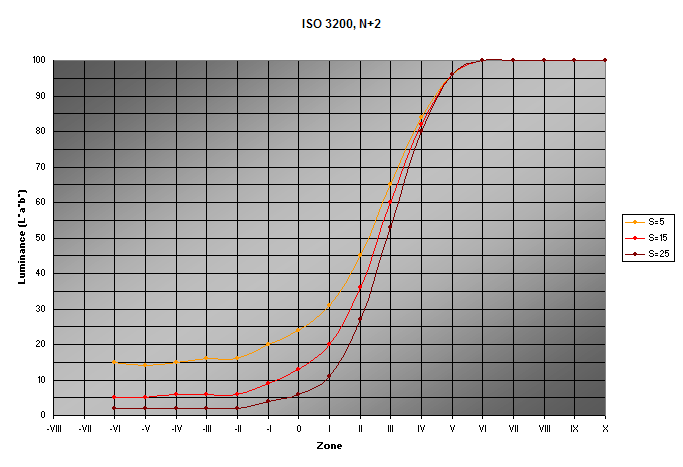 The toe of the ISO 3200, N curve is slightly elevated due to noise. The N+4 curve is greatly elevated by massive noise. Both of these are zone -VI exposures. 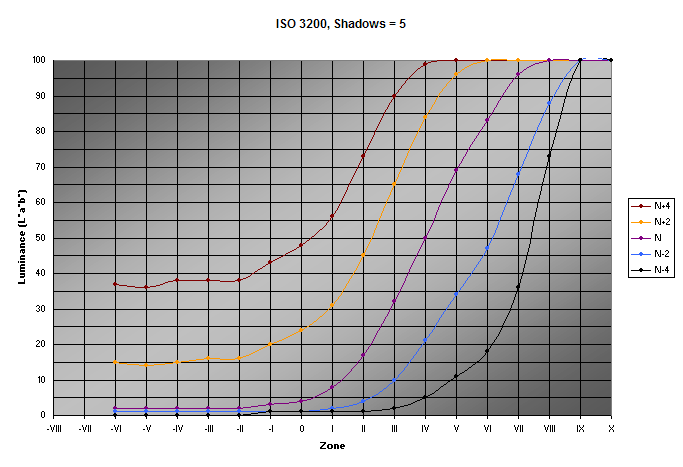 Raising the Shadows slider reduces visible noise at the expense of compressing the tonal range.